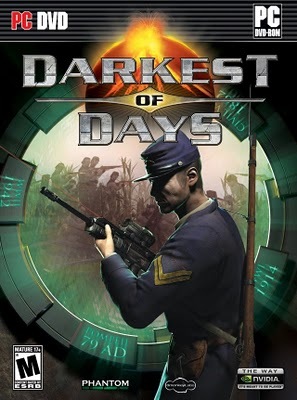 In DARKEST OF DAYS , you’ll get to experience some of the most varied gameplay ever released in one title. Things will never get stale as you travel to distant times and fight alongside people from that time period. Fighting in Antietam (the bloodiest day of the American Civil War) feels much different than fighting on the side of the Russians at Tannenberg (where the Russians withstood 140,000 casualties in WWI). 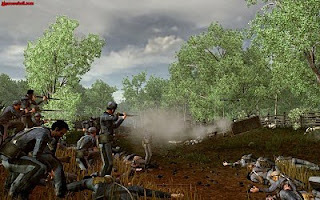 Fight in FIVE different Time Periods - Whether its in Pompeii, Antietam, WWI, WWII, or Little Big Horn you will fight with real weapons from the time period. You will battle against enemies that fight in different ways, all reflective of how fighting was done at the time. 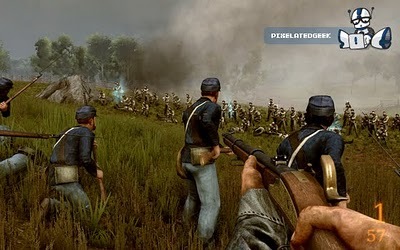 Using a combination of both futuristic and historical weapons, players will be immersed in a world where in one instant they will be fighting against the Germans in the First World War and the next find themselves battling at Antietam in the American Civil War. 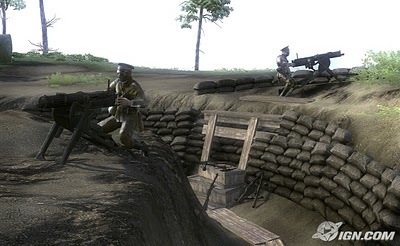 A variety of combat missions, such as stealth, artillery assaults, and sniper attacks will keep players on their toes through dozens of levels spread out over five historical time periods – all while discovering the secrets of the mysterious organization for which they have been working. 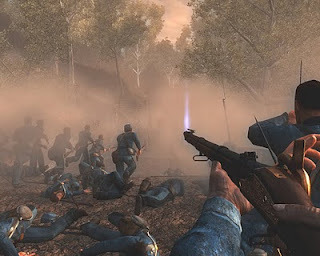 Fighting on one side of the action, then sometimes coming back to fix mistakes on the opposing side gives the player a chance to experience conflicts from both sides.